Master of Psychiatric Nursing students listen to a presentation during their orientation sessions. 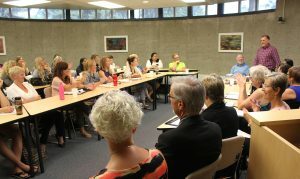 While most Brandon University (BU) students are heading to their first classes today, one group got an early start with three days of intensive orientation sessions last week. 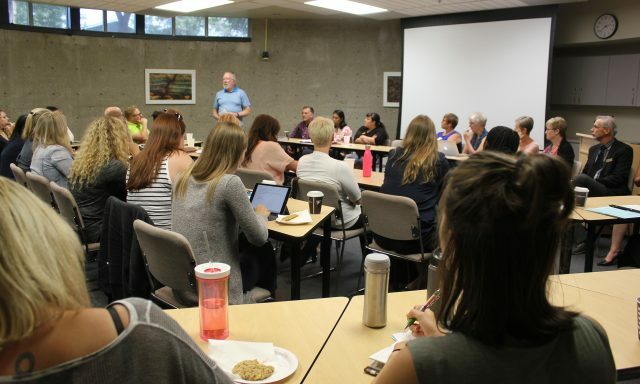 Students in the BU Master of Psychiatric Nursing program came to the BU campus for a round of seminars, faculty research presentations and introductions before heading back home to complete their coursework. 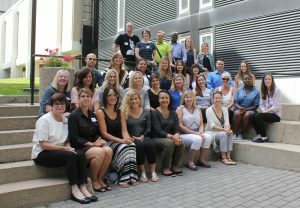 The program — the only Master of Psychiatric Nursing program in North America — is primarily delivered online, to students from across Canada. Adding an in-person component on campus makes a key difference in student success. Master of Psychiatric Nursing students pose for a group photo. They come from across the country to take BU’s program. 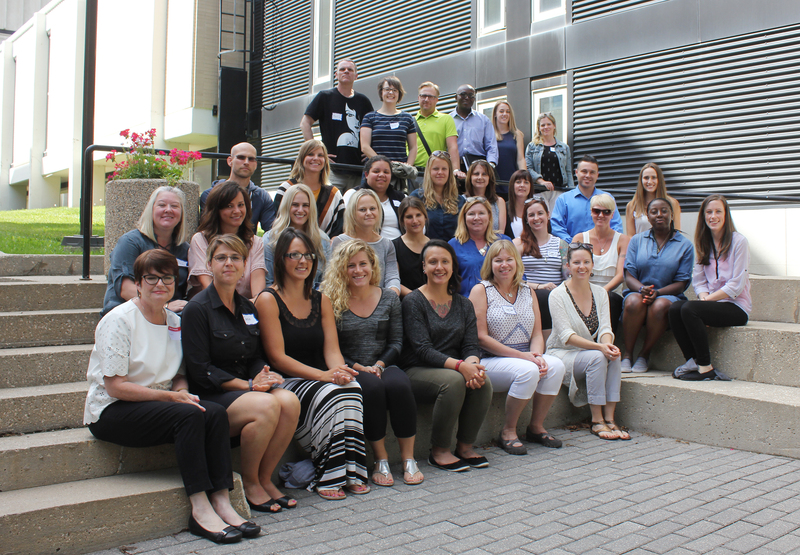 With 51 students in the program for the 2016–17 academic year, plus five more taking courses with plans for future application to BU’s Master of Psychiatric Nursing, university administrators are pleased with how popular the graduate program has become since its inception in 2011. She says that, most students progress through the program in three to four years, taking two to three years to complete the coursework and another year for their thesis. With the entirety of the course work done by distance, using online learning platforms and electronic discussion forums, the three-day conference to start the academic year takes on extra importance. Master of Psychiatric Nursing students listen to a presentation during their orientation session. Racher ticks off a number of research projects that students are currently completing. She notes how one student influences another, and then another, as they learn from experience and expertise in a fellow student’s area and seek to apply it to their own. “The topic can be front-line mental health services in acute care settings, it can be community mental health, forensics or police-oriented resources, it can be mental health and addictions, they have amazing learning to share,” she says.